If joint replacement surgery is in the cards for you, chances are you'll have a lot of questions about your upcoming procedure – and that's a good thing. Learning as much as you can about the procedure – including how to best prepare for surgery, what you can expect during your procedure, and the challenges you can expect to face during recovery and rehabilitation – can ease your mind as the process moves forward. To help you along, here are 3 things to know before you go in for joint replacement surgery. 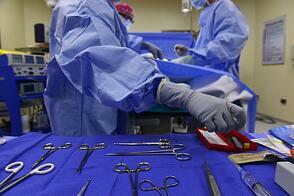 1) Going into surgery strong and healthy can give you a headstart on recovery. Your health care team will likely offer you some recommendations on how to prepare for your procedure. Typically you will be advised to pay careful attention to your diet, since good nutrition is essential to the healing process, and you may be given exercises to do or be referred to a physical therapist to help strengthen the muscles around your affected joint. Taking these recommendations seriously can give you a headstart on your recovery. Going into surgery in the best physical shape possible can help your body heal and adjust to your new joint more quickly, shortening the time it takes for you to recover and rehabilitate after joint replacement surgery. 2) Planning ahead for post-surgical care and recovery is essential. The overall success of your joint replacement surgery in reducing your pain and increasing your mobility will depend heavily on what happens after your procedure. Planning ahead to ensure that your recovery period is as smooth and comfortable as possible is very important. 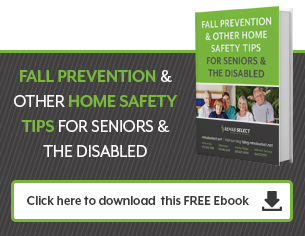 Make sure your home is prepared for your arrival with necessary adaptive and/or safety equipment, a fully stocked pantry, and clear paths to navigate through your living space with crutches or a walker. Have the help you'll need in place ahead of time, such as someone to help with your personal care, meal preparation, housekeeping, errands, and transportation to and from follow-up or therapy appointments, for instance. Be sure to ask your health care team for advice on those preparations to ensure all your bases are covered. 3) A short term rehab program can help you get back on your feet faster. Recovery and rehabilitation after joint replacement surgery is a process that will take time, patience, and hard work. It can, depending upon your personal circumstances, take anywhere from 6 months to a year or more. Spending some time in a short term rehab program after you're discharged from the hospital can ease your road to recovery, giving you expert care, support, and guidance to speed the process along and ensure your best level of recovery. Studies have shown that patients discharged to an inpatient rehabilitation program have better short term results – such as reduced pain and increased mobility – than those discharged to their homes, as well as greater long-term improvements in these important recovery markers. Another important thing to know before going in for joint replacement surgery is that the vast majority of patients who have these procedures do achieve positive results, experiencing less joint pain and increased mobility. So, while the surgery is a serious one and the road to recovery and rehabilitation will not be an easy one, you can be pretty certain that the end result – a significantly improved quality of life – will make it all very worthwhile.